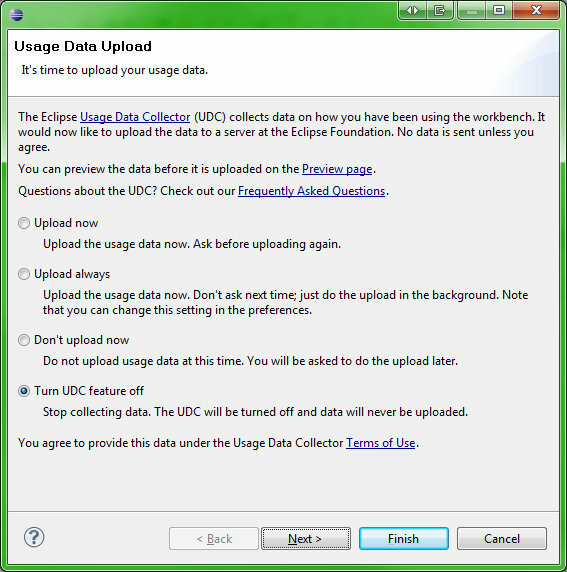 When installing Eclipse, disabling the "Usage Data Collector" requires that I agree to the terms for enabling Eclipse's "Usage Data Collector" -- the thing I told it I don't want to use. 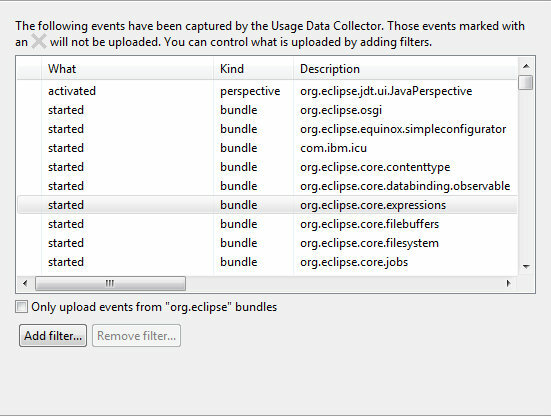 Then, once the "Usage Data Collector" is supposedly turned off and I've accepted terms allowing it to do what I told it to not do, Eclipse shows me a list of things it will capture and upload -- never mind that I just configured it to not upload any usage data. I've now lost all trust in Eclipse and their use of any data they may or may not collect.